Our Group's research, examining the magnetic properties of materials, is currently divided into three main themes, Frustrated Magnetism, Low-Dimensional Magnetism, and Permanent Magnetism. In frustrated magnetic materials, the competing interactions cannot be simultaneously satisfied leading to unusual low temperature behaviour. We study the nature of the ground states, as well as unusual excitations, in these frustrated materials. 1D and 2D magnets can be made of chains or ladders of spins, with S ≥ 1/2 and Ising, XY, or Heisenberg character. These systems offer the chance to study unusual magnetic ground states and excitations, and to compare experimental results with theories for model systems. ​Permanent magnets are pervasive in both established and developing technologies. Found in motors and generators, transducers, magnetomechanical devices and magnetic field and imaging systems, there is a multi-billion pound worldwide market for them. A2B2O7 pyrochlores consist of two interpenetrating networks of corner linked tetrahedra. With the A sublattice occupied by magnetic rare-earth (RE) ions, the anisotropic crystallographic environments along with quantum and dipolar interactions, lead to magnetic properties that include: order by disorder in Er2Ti2O7 , frustrated Heisenberg antiferromagnetism in Gd2Ti2O7 , and (quantum) spin ice in, for example, (Ho/Dy)2Ti2O7, [3-5] Yb2Ti2O7  and Nd2Zr2O7 . Spin ice adopts a highly correlated but disordered ground state where the local magnetisation fulfils the divergence free “ice rule" with two spins pointing in and two out of each tetrahedron. Classical excitations above the spin ice manifold are defects that, by reversing the orientation of a single moment, locally violate the ice rule and so the divergence free condition. This leads to monopole physics , as well as under certain circumstances, fragmentation . J. D. M. Champion et al., Phys. Rev. B 68, 020401 (2003); S. S. Sosin et al., Phys. Rev. B 82, 094428 (2010). O. A. Petrenko et al., Phys. Rev. B 70, 012402 (2004); Phys. Rev. B 85, 180412(R) (2012). O. A. Petrenko et al., Phys. Rev. B 68, 012406 (2003). T. Fennel et al., Phys. Rev. B 70, 134408 (2004); Phys. Rev. B 72, 224411 (2005). S. Erfanifam et al., Phys. Rev. B 84, 220404 (2011); Phys. Rev. B 90, 064409 (2014). L.-J. Chang et al., Nature Commun. 3, 992 (2012); Phys. Rev. B 89, 184416 (2014); E. Lhotel et al., Phys. Rev. B 89, 224419 (2014); A. Mostaed et al., Phys. Rev. B 95, 094431 (2017). E. Lhotel et al., Phys. Rev. Lett. 115, 197202 (2015); S. Petit et al., Nat. Phys. 12, 746 (2016); C. Paulsen et al., Nat. Phys. 12, 661 (2016); N. Martin et al., Phys. Rev. X 7, 041028 (2017). Coordination polymers are self-organising materials consisting of arrays of metal ions linked via molecular ligands. Here, the choice of initial components dictates the form of the final product, enabling many different polymeric architectures to be obtained. These materials are thus a route to study magnetism. 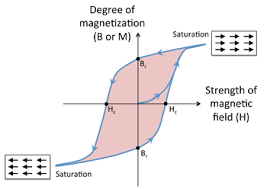 We use high- and low-field magnetometry to understand the balance of competing interactions in low-dimensional magnet systems constructed from organic and molecular building blocks. Materials can be studied that are near-ideal realisations of model quantum systems, allowing the predictions of quantum theory to be tested in the laboratory. T. Lancaster et al., Phys. Rev. Lett. 112, 207201 (2014). V. Chandrasekhar et al., Polyhedron 72, 35 (2014). J. Brambleby et al., Phys. Rev. B 92, 134406 (2015); Phys. Rev. B 95, 024404 (2017); Phys. Rev. B 95, 134435 (2017). L. H. R. Dos Santos et al., JACS 138, 2280 (2016). P. A. Goddard et al., Phys. Rev. B 93, 094430 (2016). There is a growing demand for stronger and cheaper magnetic materials. Most strong magnets are comprised of rare-earth (RE) and transition metal (TM) atoms arranged in specific crystal structures. The TM element, such as iron or cobalt, helps the ferromagnetism to persist to high temperatures and the RE component, such as neodymium or samarium, is there to generate a large magnetisation which is hard to reorientate away from an 'easy' direction specified by the crystal structure. One well-known RE-TM permanent magnet class, based on SmCo5 has excellent high temperature performance but the cost and availability of cobalt can be a problem. There is now a concerted effort worldwide to come up with new permanent magnetic materials with improved magnetic characteristics and reduced dependence on critical elements. In our PRETAMAG research programme we use ab-initio magnetic materials modelling, applied and tested in parallel with state-of-the-art sample synthesis, characterisation and experimental investigation. These studies are aimed at understanding intrinsic magnetic properties and refining the design principles of RE-TM magnets. C. E. Patrick et al., Phys. Rev. Materials 1, 024411 (2017). C. E. Patrick et al., Phys. Rev. Lett. 120, 097202 (2018). Also Prof. Julie Staunton and Dr Chris Patrick (Theory) and Dr Rachel Edwards (Ultrasound). The family of rare-earth (RE) strontium oxides has recently been identified as a useful addition to a small group of compounds where the combination of geometrical frustration, magnetic low dimensionality, and single-ion physics results in the stabilisation of highly unusual ground states at temperatures much lower than those expected from the strength of the magnetic interactions . A wide variety of unconventional magnetic properties observed in these compounds includes a coexistence of long-range antiferromagnetic and short-range incommensurate order in SrEr2O4 , two types of short-range order in SrHo2O4 , and the absence of the longer-range magnetic correlations in SrDy2O4 down to the lowest experimentally available temperatures . O. A. Petrenko, Low Temp. Phys. 40, 106 (2014). G. Balakrishnan et al., J. Phys. : Condens. Matter 21, 012202 (2009). O. A. Petrenko et al., Phys. Rev. B 78, 184410 (2008); T. J. Hayes et al., Phys. Rev. B 84, 174435 (2011); J. Phys. Soc. Jpn. 81, 024708 (2012). O. Young et al., J. Phys. : Conf. Ser. 391, 012081 (2012); Phys. Rev. B 88, 024411 (2013). T. H. Cheffings et al., J. Phys. : Condens. Matter 25, 256001 (2013). Ca3Co22O6 is a rare example of a material where ferromagnetic 1D Ising spin chains are coupled through a much weaker antiferro-magnetic (AFM) exchange on a triangular lattice [1-6]. Ca3Co2O6 orders at TN = 25 K in longitudinal amplitude-modulated spin-density-wave (SDW) along the c axis [3-6]. On cooling the magnetisation exhibits a significant field, temperature, and time dependence, and there is a very rare order-order transition from the SDW to a commensurate AFM phase . The application of a magnetic field produces a sequence of equally spaced steps in the magnetisation, that are reminiscent of quantum tunnelling of magnetisation in molecular magnets. V. Hardy et al., Phys. Rev. B 70, 214439 (2004); Phys. Rev. B 70, 064424 (2004); Phys. Rev. B 70, 104423 (2004). A. Maignan et al., J. Mater. Chem. 14, 1231 (2004). O. A. Petrenko et al., Eur. Phys. J. B 47, 79 (2005). A. Bombardi et al., Phys. Rev. B 78, 100406 (2008). S. Agrestini et al., Phys. Rev. B 77, 140403 (2008); Phys. Rev. Lett. 101, 097207 (2008); Phys. Rev. Lett. 106, 197204 (2011). J. A. M. Paddison et al., Phys. Rev. B 90, 014411 (2014). Gadolinium Gallium Garnet Gd3Ga5O12 is a frustrated magnetic system that exhibits a spin-liquid state above a spin-glass transition at Tg ≈ 0.14 K, that is far below the anti-ferromagnetic interaction strength of ~2 K. Liquid-like magnetic diffuse scattering and persistence of strong spin fluctuations are observed in neutron scattering to low T [1-3]. Suppression of conventional magnetic order allows “hidden” order to emerge in its place . O. A. Petrenko et al., Phys. Rev. Lett. 80, 4570 (1998). J. A. Quilliam et al., Phys. Rev. B 87, 174421 (2013). N. d’ Ambrumenil et al., Phys. Rev. Lett. 114, 227203 (2015). J. A. M. Paddison et al., Science 350, 179 (2015). We work with Prof. Richard Walton and his Group in Chemistry who prepare magnetic oxides via hydrothermal methods. Materials of interest include ruthenates , bismuth based compounds , and chromites , with new structures or potential for applications. C. I. Hiley et al., Phys. Rev. B 92, 104413 (2015); Angew. Chem. Int. Ed. 53, 4423 (2014); R. J. Darton et al., Cryst.Growth Des. 10, 3819 (2010). K. Sardar et al., Chem. Mater. 24, 4192 (2012); J. Phys: Cond. Matter 24, 045904 (2012). L. M. Daniels et al., Inorg. Chem. 52, 12161 (2013); K. Sardar et al., Chem. Mater. 23, 48 (2011). In most research laboratories, including ours, electromagnets with iron cores have been replaced with superconducting coils. We have a number of magnetometers and cryo-magnet systems with solenoids that can generate magnetic fields as high as 17 tesla. For experiments that require higher magnetic fields we travel to high magnet-field facilities that offer a range of magnets including resistive, hybrid, superconducting, and pulsed magnet systems, offering field strengths of 50 tesla and above. At the other extreme to the very strong fields used in some of our research, we also use the Superconducting Quantum Inference Device (SQuID) in our magnetometers. A SQuID, which in a magnetometer is used as a sensitive current-to-voltage converter, takes advantage of the Josephson effect and is capable of measuring changes of one magnetic fluxon or less.